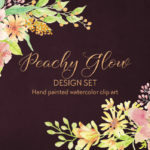 A flourish of peaches and pinks! 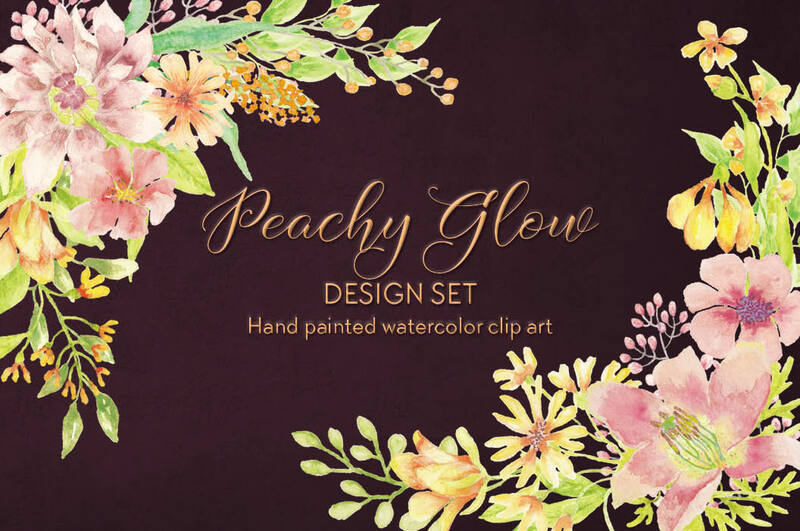 This hand painted watercolor clip art set is created in soft muted tones of salmon, pink, peach and coral, with touches of green foliage. 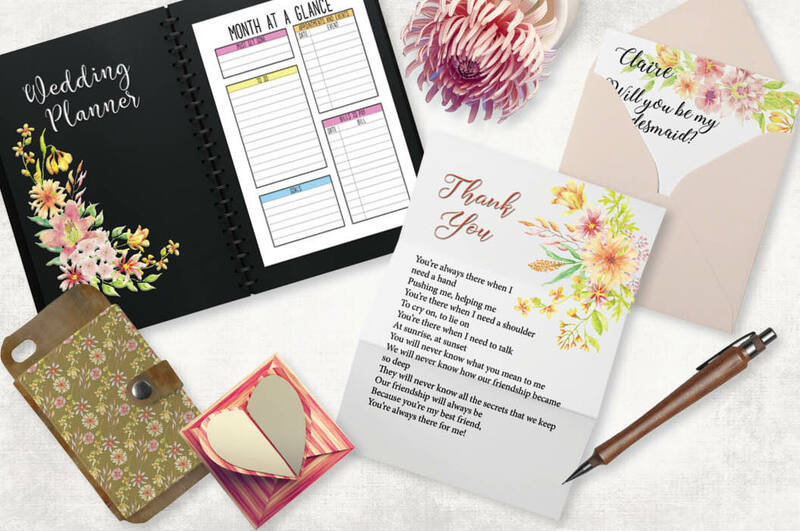 Make stationery and other items in minutes with the 19 pre-made clip art items plus 4 seamless patterns. 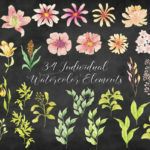 34 individual watercolor elements are included, so that you can create you own co-ordinated items and designs. 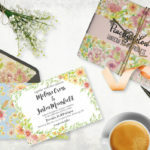 Just perfect for spring and summer wedding and other stationery. 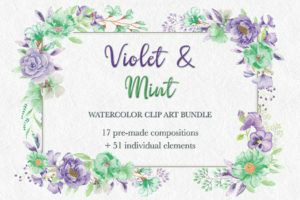 Also ideal for labels, logos, branding, packaging and all paper-based crafts. 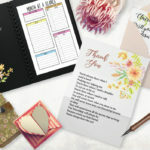 – 3 card / page templates (including a floral drop [or header]). 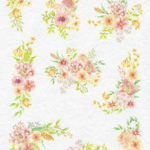 I’m giving away 4 seamless patterns with pastel backgrounds as a Freebie. 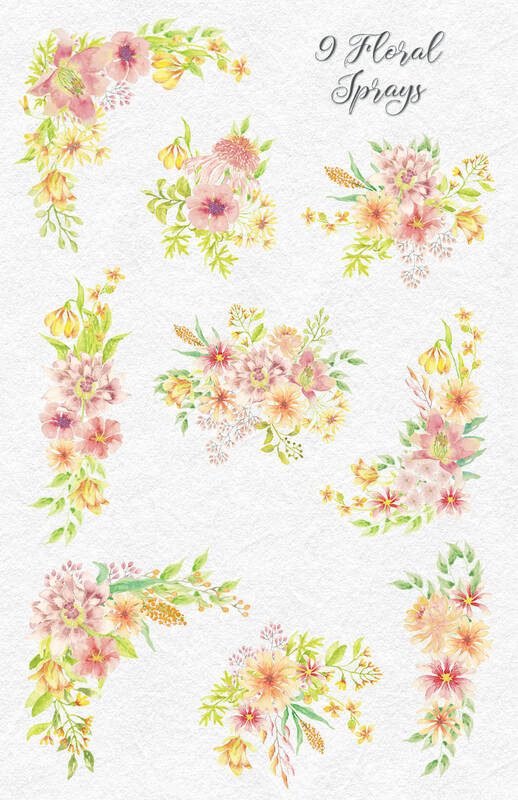 The watercolor elements are given in PNG file format. 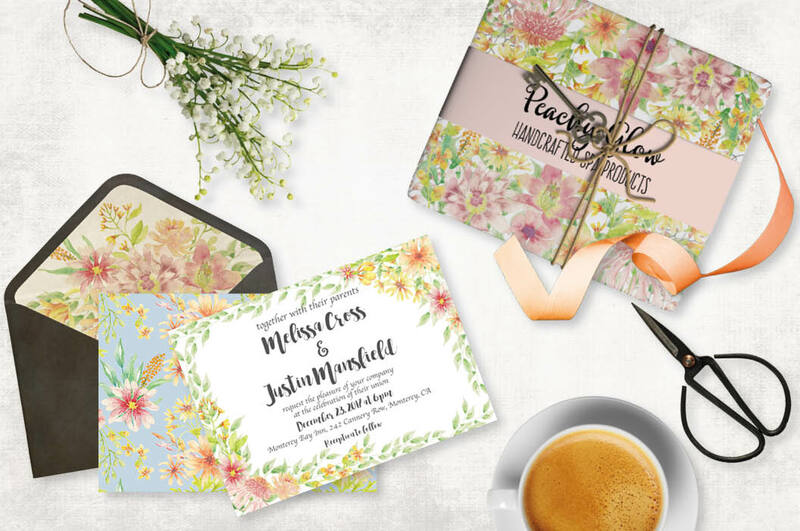 The patterns in JPEG have 2 color background options – pastel and bold. They are also given in PNG format. 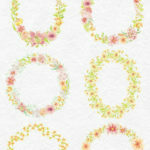 All the circular wreaths measure 10 X 10 inches (3000 X 3000 pixels). The laurel wreath and the oval wreath measure 8 X 10 inches (2400 X 3000 pixels). Spray 1 measures 9 X 7 inches (2700 X 2100 pixels). Spray 2 measures 7.5 X 8 inches (2250 X 2400 pixels). Spray 3 measures 7.5 X 9.5 inches (2250 X 2850 pixels). Spray 4 measures 10 X 8 inches (3000 X 2400 pixels). Spray 5 measures 4 X 9 inches (1200 X 2700 pixels). Spray 6 measures 4 X 10 inches (1200 X 3000 pixels). Spray 7 measures 6.5 X 6 inches (1950 X 1800 pixels). Spray 8 measures 6.5 X 6.5 (1950 X 1950 pixels). Spray 9 measures 6.5 X 7 inches (1950 X 2100 pixels). 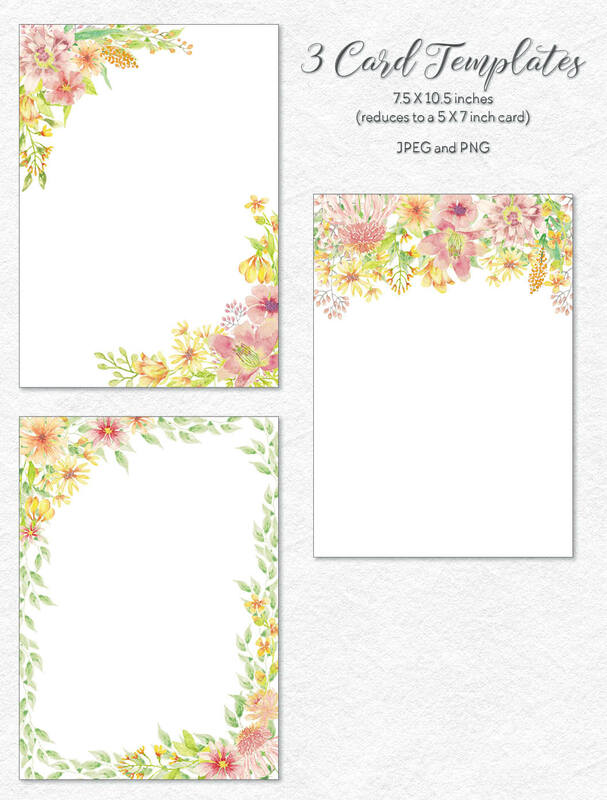 The card / page templates measure 7.5 X 10.5 inches (2250 X 3150 pixels). The elements vary in size, being on average 2.5 X 2.5 inches. 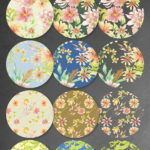 For example, single flowers measure between 2.1 X 2.2 and 4.2 X 5.6 inches. Clusters measure 2 X 2.8 inches. Leaf branches measure 3.5 X 5 inches. 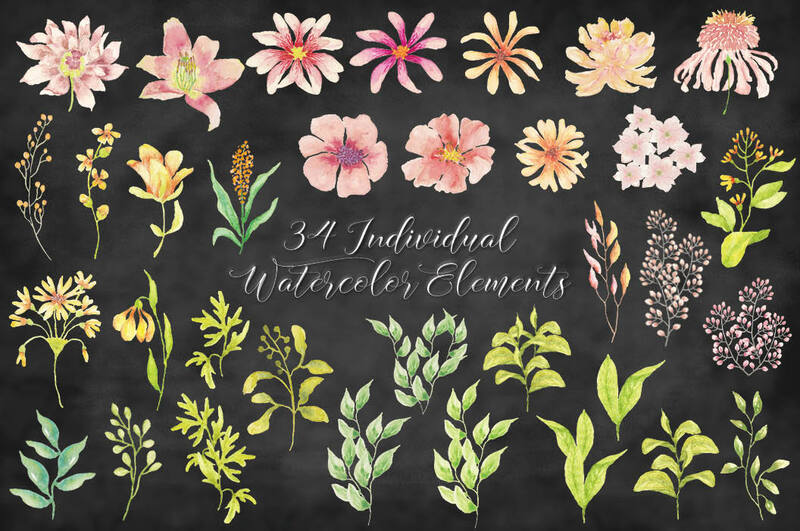 Sub-folder 1 contains the watercolor elements (PNG) – 34 files. 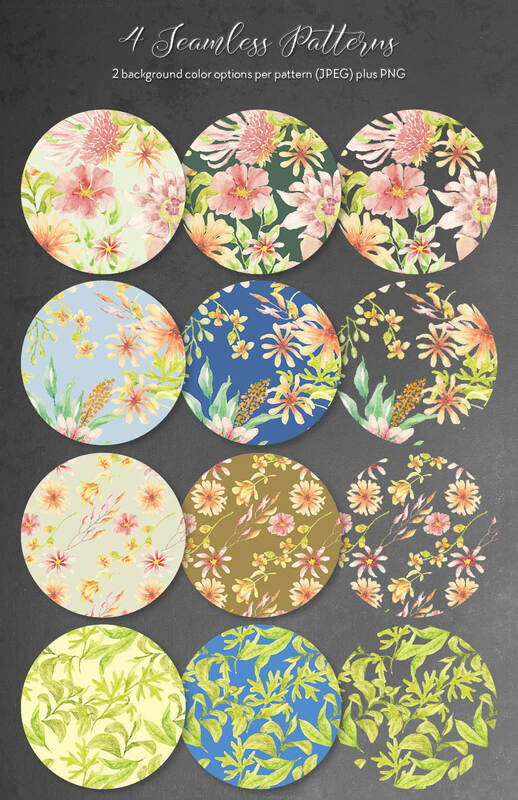 Sub-folder 2 contains the 4 patterns (JPEG [2 colorways each] and PNG) – 12 files. Sub-folder 3 contains the 9 sprays (JPEG and PNG) – 18 files. 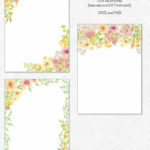 Sub-folder 4 contains the 3 card / page templates (JPEG and PNG) – 6 files. 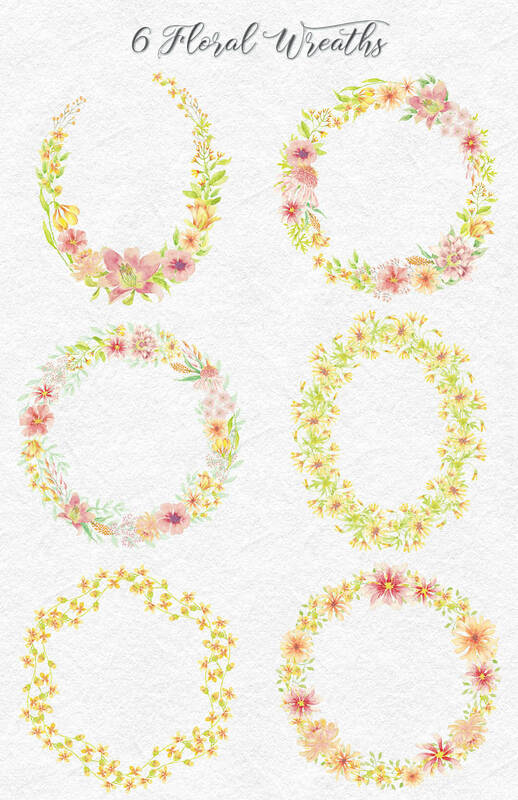 Sub-folder 5 contains the 6 wreaths (JPEG and PNG) – 12 files. 82 files in total; all files are clearly marked.